Kendriya Vidyalaya NFR Maligaon is a one of the best in its kind in the North East, established in the year 1979 as a small school has emerged as a pioneer institute in the region with about seventeen hundred students. The Vidyalaya has 3 Sections in Science, 2 Sections in Commerce and 1 Section in Humanities stream. Kendriya Vidyalaya NFR Maligaon is a project school under the North East Frontier Railway and is in close proximity to the Kamakhya Railway Station. 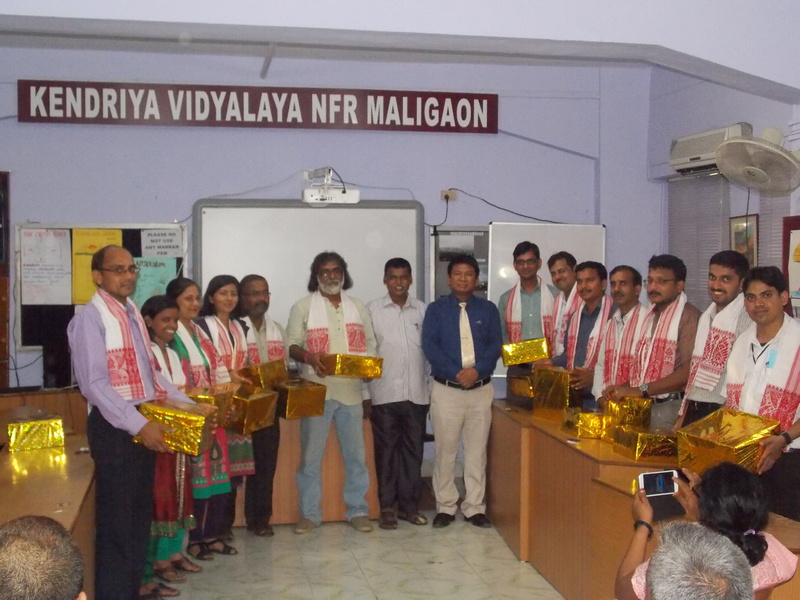 THE KENDRIYA VIDYALAYA NFR MALIGAON PARIWAR BID FAREWELL TO THE TEACHERS WHO WENT ON TRANSFER EITHER TO THEIR CHOICE STATIONS OR ON DISPLACEMENT, WITH MR.K.ALUNG KHUMBA, PRINCIPAL AND MR.M.M.DAS, HEADMASTER ON 25 JUNE 2014. (TWO MEMBERS WERE NOT AVAILABLE AS THEY WERE ON THEIR WAY TO THE NEW POSTING.